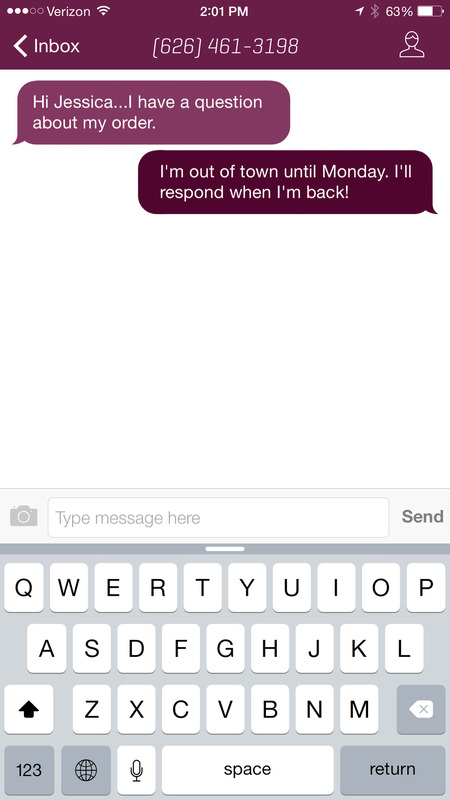 New feature alert: Auto-reply to texts has arrived! Over the last several months we’ve heard from more and more customers that you’re using Burner to manage your business communications. Burner is helping to keep your personal phone number private when dealing with vendors, clients and customers, and giving you more control of when they can contact you without affecting your personal calls and contacts. By keeping your business communications on Burner you can easily keep things organized and efficient and today we’re introducing a feature that will extend that usability. We just released Burner 3.1.4 for iOS and it’s a good one. Among small improvements to performance, we’ve included a new feature that allows you to auto-reply to texts! This feature will automatically respond to any texts you get to your burner with a custom message. It’s an easy and convenient way to tell people that you’ve received their message. Selling something on Craigslist and being inundated by responses? Let them know that the item’s still available and that you’ll get back to them. Going on a digital detox and shutting off your phone for a weekend? Automatically text them an out-of-office response. Fielding business inquiries 24/7 but business hours are more like 9/5? Text your customers back with your hours of operation. Auto-reply is useful in a ton of situations, it’s super easy to set up and you can set a different auto-reply message for each of your burners. You can turn it on from the settings page of your Burner and edit your message. You can set a different auto-reply for each burner you have. If you have a burner to sell things, you can create a professional response. If you have a burner for dating, you can craft a reply filled with smiles and emojis. The possibilities are endless. A text message auto-reply is an answering machine for the modern era and it’ll do two things to improve your life: save you time *and* give your thumbs a break.